69 x 125 CORNER DUPLEX LOT in prestigious Upper Deer Lake, on a QUIET street with LANE ACCESS, offering desirable SOUTH / NORTH exposures. 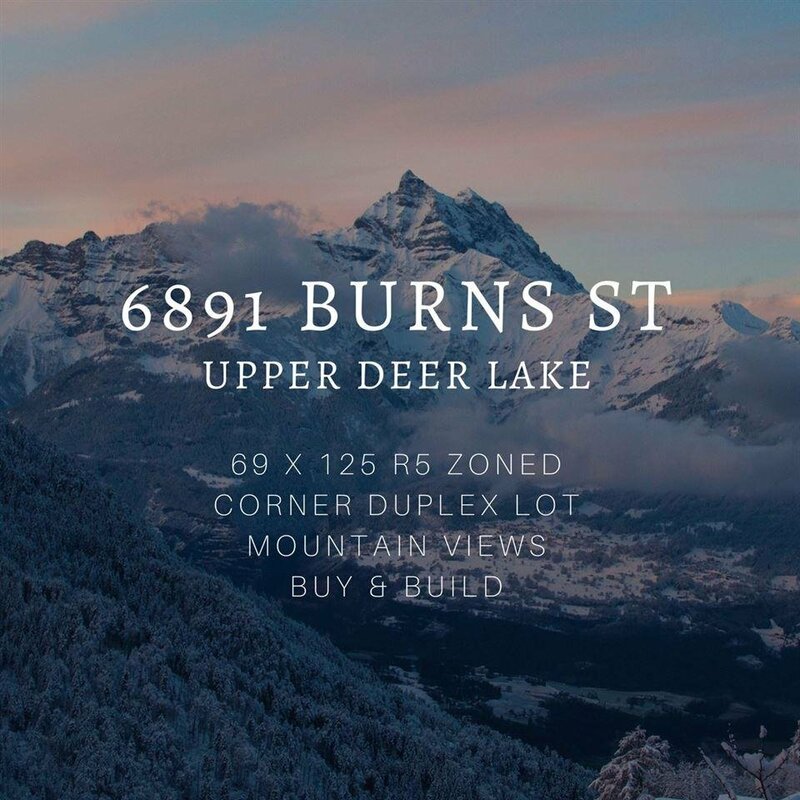 The proposed duplexes will be almost 2,000 SF per side with mountain views to the north, grand entrance foyer with double-height ceilings and detached garages. No oil tank, price includes survey, proposed building plans and transfer of building permits. Buy and build right away, no holding and waiting!